Z2 Entertainment is proud to present Grant Farm feat. 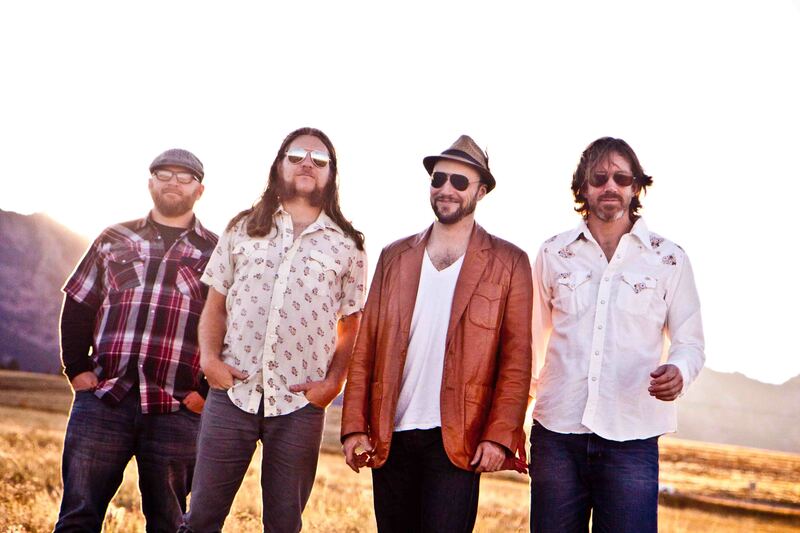 Keith Moseley w/ Frogs Gone Fishin’ & Gipsy Moon at the Boulder Theater Friday, February 8th. Tickets are now on sale for $13.00 in advance & $15.00 day of show.Grant Farm is a band on a mission. Tyler, Chris, Adrian and Sean are experienced players of renown in their own right, but as a unit they form a greater whole, and are working hard to grow into the best band that they can be. Former members of Leftover Salmon, The Drew Emmitt Band, Emmitt-Nershi Band, Snake Oil Medicine Show, Bill Nershi's Blue Planet and Hot Soup, these fine young players have been featured on stage with the likes of The String Cheese Incident, Yonder Mountain String Band, The Infamous Stringdusters, The Motet, Head For The Hills, Sam Bush, Jerry Douglas, Tim O'Brien, Dumpstaphunk, Tony Rice and many more.The seeds of Grant Farm were planted in 2009 by Tyler Grant and Andy Thorn. Tyler was fresh off the boat from Nashville, TN and Andy from Chapel Hill, NC. The duo found themselves in Boulder, CO as members of The Emmitt-Nershi Band, and were eager to showcase some of their original music. When Tyler gave his notice to ENB at the end of 2010 he was driven to make a bigger statement with his music so he dusted off his Telecaster, started a conversation with the experienced and equally driven drummer Chris Misner, plugged in, turned up, and watched the sprouts of the Grant Farm concept grow.With the help of Thorn and stellar bassist Keith Moseley of The String Cheese Incident, the electric Grant Farm started rehearsing in early 2011. With a country-disco (Cris-Co), roots-rock, booty-shakin' jam-tastic concept fully formed, Adrian Engfer and Sean Foley were brought on board to bring the band into 2012. Now, after a couple solid seasons of touring Coast-to-Coast behind their eponymous debut CD, Grant Farm, released on Grant Central Records in March 2012, audiences everywhere are a-buzz with the Roots, Rock and Cris-Co statement that Grant Farm brings to every performance.